Saudi Arabia's billionaire Prince Alwaleed bin Talal tweeted an unexpected message for the 100 fighter pilots involved in airstrikes against Yemen – each would be awarded a Bentley. The tweet, which was later deleted, sparked anger online. “I congratulate our wise leaders on the victory of Operation Decisive Storm and the beginning of Operation Restoring Hope,” bin Talal appeared to tweet on Tuesday. It followed an announcement of a new phase in the Saudi-led campaign in Yemen. “To recognize the one hundred participating Saudi pilots I am pleased to present them with 100 Bentley cars,” he said, according to screenshots of the message. But the fighter pilots couldn't allow themselves to get too excited, because the tweet was later deleted without explanation. Some Saudi Arabian reports suggest the prince's account was hacked, though this has not been confirmed. The Twittersphere was unsurprisingly full of opinions on the tweet, with many reminding of the human cost of the operation in Yemen and disgusted that the loss of lives could be rewarded with luxury cars. At least 944 people were killed and 3,487 wounded in Operation Decisive Storm, according to the World Health Organization. @Alwaleed_Talal Muslim children died at the hands of your pilots and you reward them with Bentleys. You should be ashamed of yourself. Others mentioned that while bin Talal was offering to pay for 100 Bentleys, he had failed to provide even one emergency vehicle to Yemen amid the fatal airstrikes. #Yemen which does not have food, water, medicines, fuel or electricity was not offered even one ambulance by Prince Talal bin Al Waleed. Bin Talal's tweet came after Saudi Arabia announced an end to Operation Decisive Storm on Tuesday. "Operation Decisive Storm has achieved its goals...[including] removing the threat to Saudi Arabia and neighboring countries, especially in terms of heavy weapons," said a statement carried by Saudi state news agency SPA. The operation was aimed at Houthi rebels who had seized large areas of Yemen, including the capital, Sanaa, forcing President Abd-Rabbu Mansour Hadi to escape to Saudi Arabia. 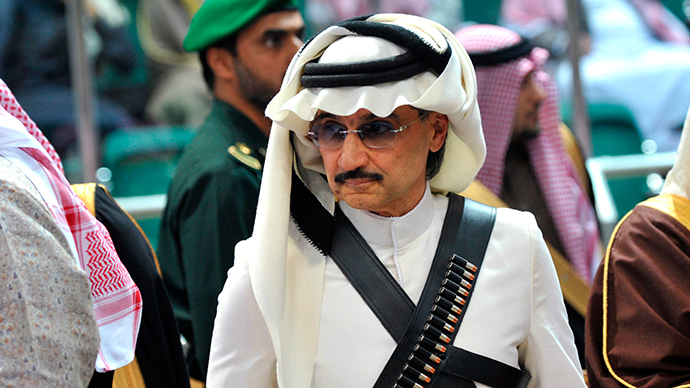 With a fortune valued at nearly US$23 billion by Forbes, 60-year-old Bin Talal is the richest member of the Saudi monarchy and is among the richest men in the world. He is a nephew of the late Saudi King Abdullah.